This is the 2012 Honda Integra – a 700cc parallel-twin-engined production version of the Mid Concept super scooter shown last year. Pitching into the huge-selling TMAX market with a second-generation dual-clutch gearbox and staggering claimed economy of 77mpg, it's almost certainly the most significant new bike Honda launch in 2012 - if not for you then certainly for the firm. It says two more bike-like machines based on the 700 twin engine will debut at the Milan show in November. Honda claims the all-new engine beats Euro-3 emission standards by half, offers 40% better economy than any capacity class rival while being optimitsed for a 'throbbing and sporty' mid-range. A new lighter-weight version of the VFR1200's DCT dual-clutch gearbox helps eke out the economy and now features a 'learning function' which detects the context the bike's being ridden in ('from city streets to mountain passes') and adjusts the shifting pattern in whatever mode you're in to suit. The engine's vaunted character comes from its uneven 270 degree firing order and its very much undersquare (ie long stroke) dimensions – 73 x 80mm. Yamaha has been touting its 499cc TMAX for a decade as offering the ‘power, pace and handling’ of a bike with the comfort and convenience of a scooter, and buyers have been sufficiently convinced to buy the bike in droves. But the Honda’s 200cc capacity advantage, real bike-sized 17” wheels and higher centre of gravity should lead to Yamaha withdrawing its ‘ultimate sports scooter’ sales pitch pronto. 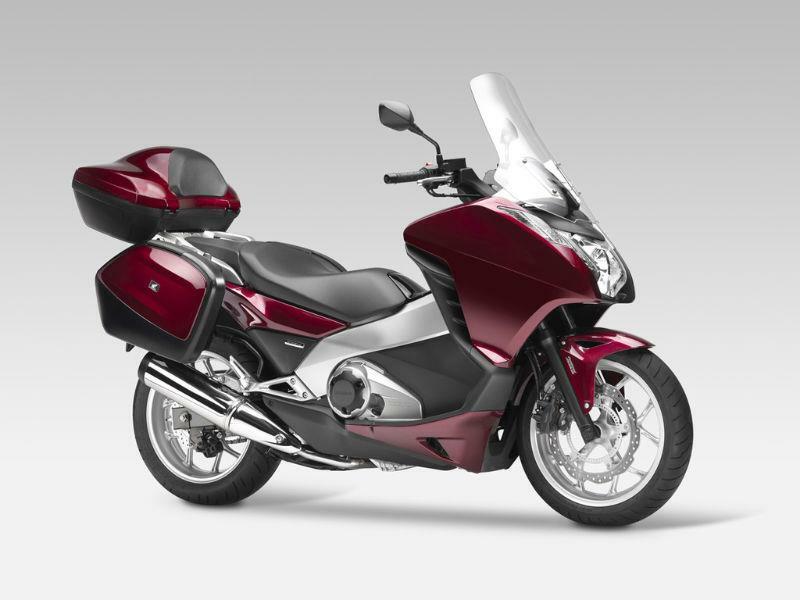 Stable at higher speeds, with comparable weather protection and far greater load-carrying capacity thanks to its ability to carry panniers, the Honda leaps ahead in performance and practicality terms. 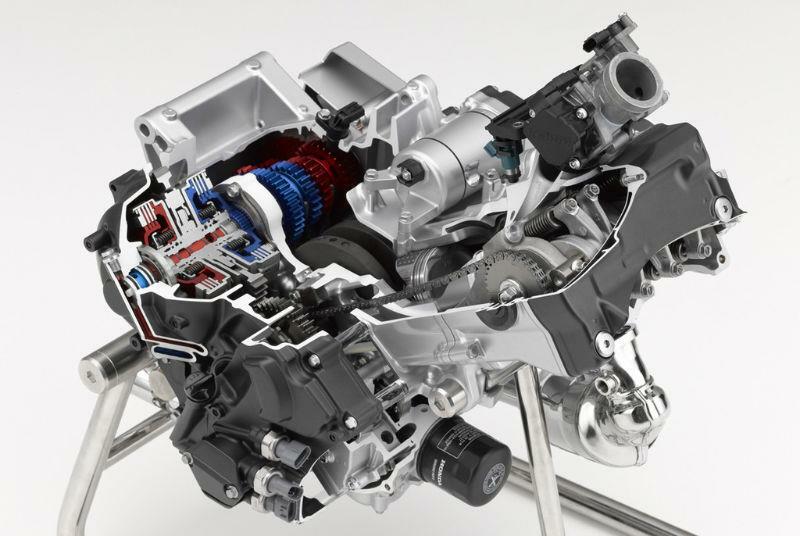 But its killer blow to the TMAX is likely to be its dual-clutch transmission. 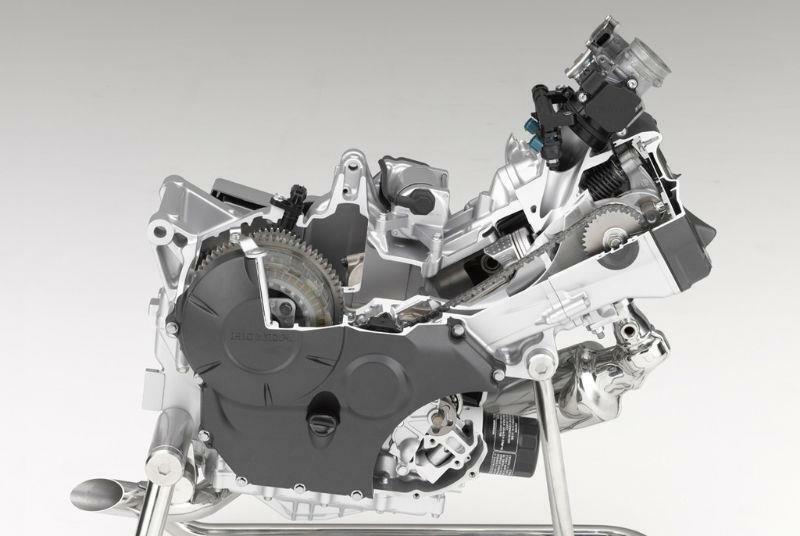 DCT matches the twist ’n’ go ease of the Yamaha’s continuously variable transmission (CVT) without robbing the engine of its real bike feel and performance potential. CVT’s smooth but dull gearlessness is no match for the responsiveness of DCT’s fast-changing but still directly mechanically coupled drive. Honda pitched the Mid Concept as ‘sector-shattering’ when it revealed the bike at the Milan bike show in November last year, but it’s perhaps better understood as the conclusive bridge-builder between mainstream commuting and motorcycling. Switchers from cars are far more likely to ‘get’ motorcycling’s appeal from riding the Honda than its more appliance-like scooter rivals; motorcyclists won’t feel unmanned by its scale, performance and VFR1200-related tech; scooter converts will eye its capabilities enviously while finding nothing off-puttingly counter-culture in its looks. These are key areas where Honda’s 2008 ill-fated DN01, which at first glance offered a similar performance and ease combination, fell down. Its looks left every sector of the market feeling non-plussed. Where the DN01 made riders a highly refusable offer of changing their image, the new 700 wisely addresses nothing but practicalities. As long as it keeps the price in check even with its VFR1200-derived DCT (and TMAX market volumes offer a good chance of that) Honda could the longed-for market-stretching hit on its hands. And that's before we've seen the 'proper' bike versions.